With aging, the dermo-epidermal junction ﬂattens and the epidermis receives fewer nutrients. Cell renewal slows down, and self-regeneration capacities decrease. Production of all ﬁbres, like collagen, elastin and hyaluronic acid, dramatically decreases. The stratum corneum is deconstructed and loses its properties of cohesion. Thus, the skin’s function as a protective barrier becomes less efﬁcient, resulting in dehydration. The skin is thinner, less elastic and supple, and wrinkles appear. Studies found that insects or arthropods rely on a growth hormone, ecdysone, Ecdysone is rich in nutrients to promote skin cell regeneration, enhance the cohesion between dermis and epidermis, and recover the barrier of the stratum corneum. Research then identiﬁed the remarkable stimulant powers of ecdysterone (a phytosterol). A particular tropical fern that is rich in ecdysterone was selected to be further puriﬁed by biotechnology. 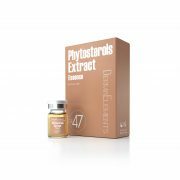 It is currently the most powerful natural anti-aging ingredient. 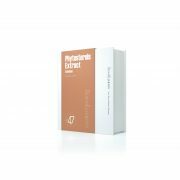 Phytosterols Extract selects a tropical fern that is particularly rich in ecdysterone. 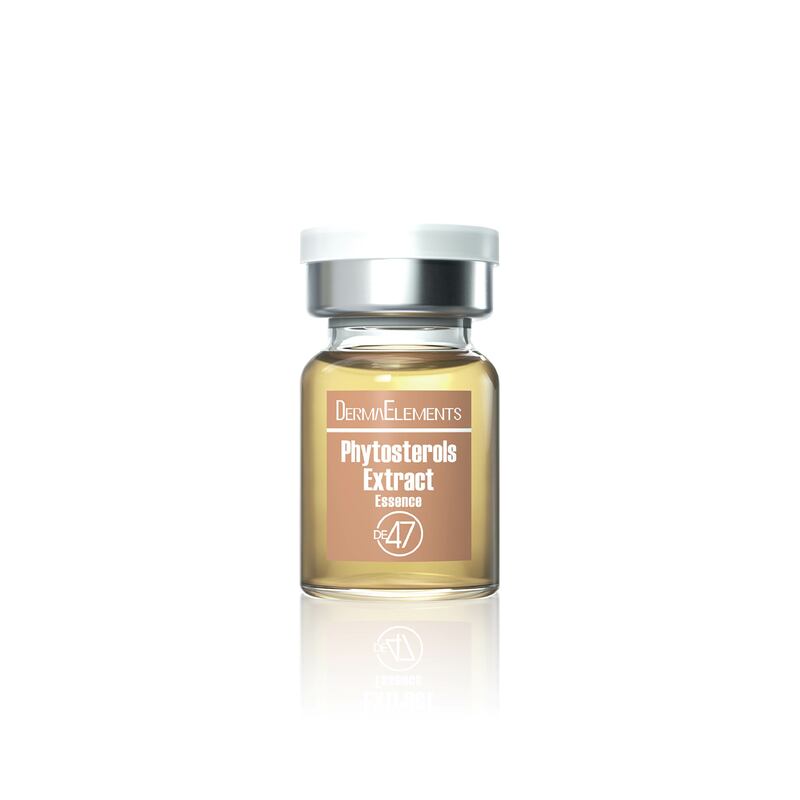 It rejuvenates skin by more efﬁcient, faster and better regeneration from stem cells to the stratum corneum surface. The reconstructed epidermis recovers skin density, and resumes its perfect cohesion to work as a barrier again. Thus the skin is better hydrated and more supple. Fine lines and wrinkles are smoothed, and the complexion is radiant.